Have you ever seen a limousine or party bus driving down the road, and dreamed about being in one yourself? Did you think it was too expensive and unrealistic of a dream? Well, you would be wrong! We not only house some of the finest vehicles in the Tampa area, but we are also affordable on almost any budget! You can see for yourself why we are considered to be one of the top providers of entertaining transportation in the Tampa area! 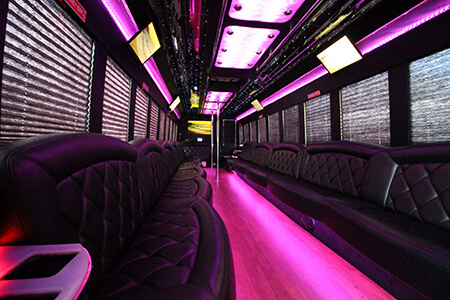 Our party buses have plush leather seats, laser lighting, dance pole, TVs, and much more! You'll love the luxurious interiors! Welcome to Party Bus Tampa! Your best choice for party buses in Tampa! If you're looking for a party bus in Tampa you've come to the right place! Tampa Limousine is the number one party bus company in the Tampa area offering the most luxurious vehicles and the best service in town. We're sure that after perusing our website and seeing our party buses in action, that you will agree. But what you really need to have in mind is how you are going to travel to some of the awesome destinations in the Tampa area. Partnering our special vehicles and service with what the Tampa area has to offer is one of the most amazing things you could ever imagine. You certainly are not going to want to miss amazing destinations like Busch Gardens, the Tampa Museum of Art, Ybor City Museum State Park and the exquisite Tampa Riverwalk just to name a few. But while you are thinking about these out of this world visitation opportunities think about how phenomenal it will be to check them out by riding in one of our outstanding vehicles. This is going to be the experience of your life we promise you. 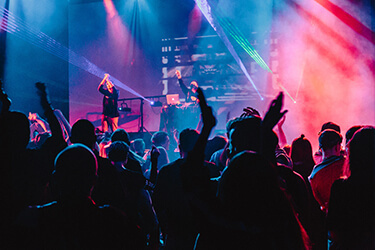 Tampa Party Bus has beautiful party buses ranging from 15 to 42 passengers in additional to a luxury shuttle fleet that can seat up to 6 passengers. 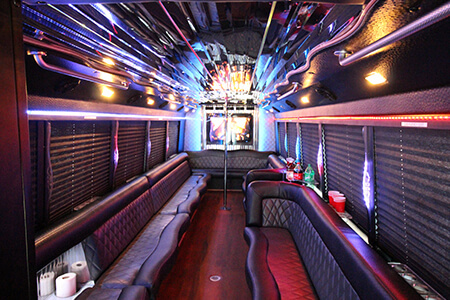 All of our party buses have beautiful interiors with amazing features from the plush leather seats to the exotic hardwood floors and color-changing lights, to the dance poles, TVs, and on board bars! We can't think of a single event or celebration that can't be enhanced by adding a luxury party bus from Tampa Limo Bus! On that note, we do provide services for absolutely any event and we operate 24/7 so we can accommodate you no matter what you've got going on! Even if you just want to drive around all night on the bus and drink with out stopping anywhere, that's totally fine with us! Our vehicles were made for any plans you might have. In fact, our special vehicles have a nickname that we are very proud of. It won't take you long to see why people have called our vehicles a party of wheels. The amazing services we provide are perfect for any Tampa events. 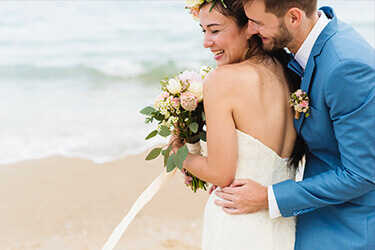 Are you getting married in Tampa? We have the best wedding limos in Tampa! Celebrating a birthday? We have fun party buses you need! Our affordable party bus prices allow us to provide services to events even on the tightest budgets! And you won't have to worry about any kind of breakdowns either. We have certified mechanics on staff who regularly inspect and maintain our entire fleet. This ensures that our vehicles are ready to roll when you need them and you won't have to worry about being left stranded on the side of the road or not making it to your destinations at all. We also hire professional detailers who meticulously clean every inch of our interiors between uses to make sure that the environment is pristine when you step on board. We take our customers' safety very seriously so we only hire certified and experienced drivers who know the area roads well. You can be guaranteed that you and your group will make it to where you need to go and you will be there when you want to arrive. We invite you to go ahead and take a look around our site to learn more about us, our policies, our vehicles, and our services! We suggest that you have a notepad and pen available as you read so that you can jot down any questions or concerns that might pop up as you learn about what we do. When you're ready to get a quote, book your reservation, or just need to ask some questions, give us a call or send us an email! We will never pressure you into making any kind of decision. If all you want to do is talk, we will be happy to do so for as long as you need. Then, when you feel like you are ready to take the next step, one of our knowledegable specialists will be very happy to walk you through the easy and painless booking process. We will be sure to help you find the perfect fit for your next night out with us. Our customer service agents are available 24/7, 365 days a year for your convenience. We absolutely can't wait to hear from you and to bringing you the special service that we have become famous for. Once you ride with us one time, you will never go back. Below is but a small sampling of the events we cater to in the Tampa area. 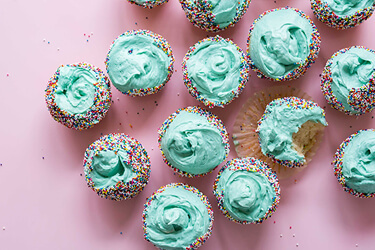 We are proud to help anyone celebrate any event, ranging from a small birthday party, to a large corporate party in the Tampa area and beyond! Some of our most common events are weddings, bachelor parties, concerts, and so much more! 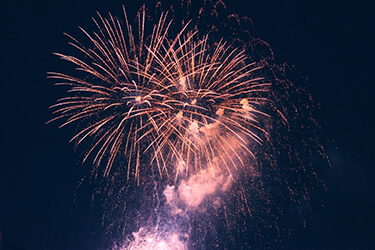 You can view more information about the events we service and what we offer on our events page! Contact us today to help improve your next big (or small) event now!